The Law Library wants you to know about a trial we are doing this Fall. 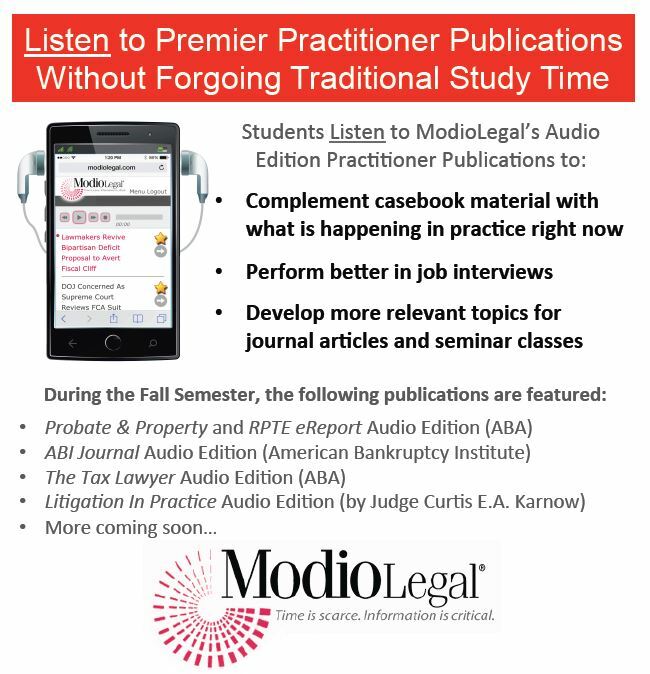 Students and faculty are welcome to register and try ModioLegal. Law students are always voicing a desire for more practical exposure while in school, but they are so busy. They have so much reading as is. ModioLegal may be a great solution. 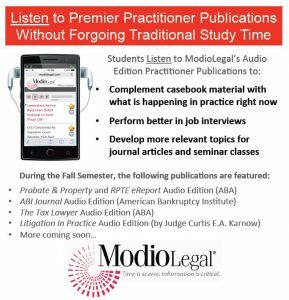 Professors are using the service to compliment casebook material, which tends to be the more static/well-established law, with what is happening in practice right now. Students are using the service to develop more relevant writing topics for their law journals and seminar classes, and to differentiate themselves during job interviews. Other schools are using the service to present their students as being more well-read with respect to practitioner materials. © All text copyright 2019 University of Hawaiʻi. All Rights Reserved.